A sign shows Fort Bragg information May 13, 2004 in Fayettville, North Carolina. On Friday night, a solider tried to enter Fort Bragg in North Carolina dressed as a suicide bomber, the group's Facebook post said. The soldier was wearing what appeared to be an explosive vest. When the soldier arrived at the entrance, emergency response was called in and the scene had to be cleared. The gate stayed closed for an extended period of time, according to the Fort Bragg Facebook page. Intial reports say the vest was just part of a Halloween costume however, the investigation is still ongoing. "Costumes of this sort are not allowed on Fort Bragg," the Fort Bragg's Facebook page said. "All costumes should be appropriate in dress and tasteful." Soldiers and their families living at Fort Bragg are instructed to not wear costumes "of this sort" off the post in the future, the senior commander said in the post. 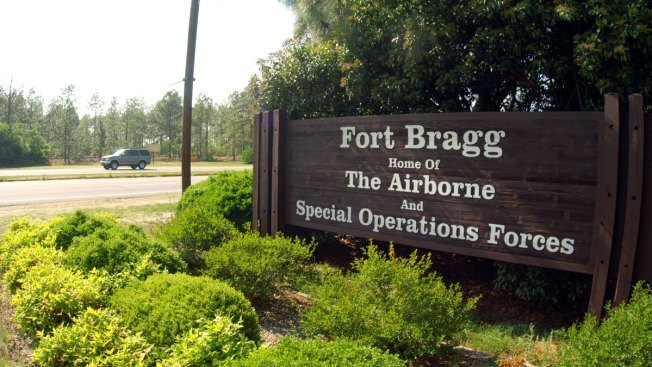 Fort Bragg, northwest of Fayetteville, is home to the U.S. Army airborne and special operations forces.